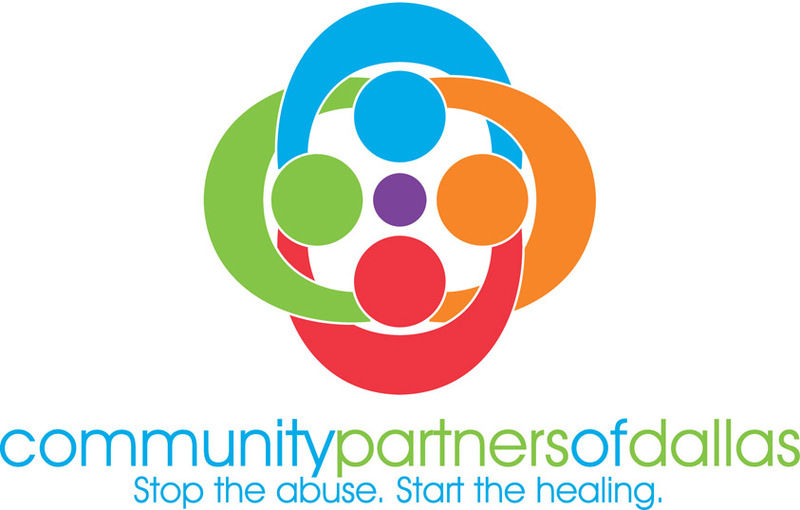 Community Partners of Dallas initiates, develops, and supports projects that enable Child Protective Services (CPS) caseworkers to make the most positive impact possible on the victims of child abuse in Dallas County and those who are at risk. Our organization is unique in that no other nonprofit agency in the Dallas County area meets this specific need. The mission of Community Partners of Dallas is to ensure safety and restore dignity and hope to abused and neglected children by providing resources and support to the caseworkers of Dallas County Child Protective Services. Our programs have been replicated in more than 150 cities in Texas. Connecting Point of Park Cities provides an impactful non-profit day program for adults with disabilities by fostering independence through educational, social, recreational and vocational initiatives and connecting them to volunteer opportunities. Our teammates (clients) include individuals with many types of cognitive and developmental disabilities as well as traumatic brain injury. We are a rare organization in that we provide a staff nurse, a 1 to 5 ratio of staff to teammates, and individualized programs specific to each teammate. We are unique by having a full time nurse to meet the needs of those with complex needs such as g-tubes, assistance with tracheas, medication administration, and other medical procedures that require nursing services. All teammates must be at least 18 years of age to enroll in our program. Heart House provides safety, education and opportunity to refugee and underprivileged children. Our vision is to use education as a catalyst to combat poverty and level the playing field for some of the most vulnerable children in our city, while assisting the whole family. Through the Head, Heart, and Hands (H3) program, Heart House gives children living in the low-income neighborhood of Vickery Meadow a chance to thrive mentally, physically, emotionally, and academically through afterschool/summer programs and services, including homework assistance, mentoring, and counseling. Heart House focuses on children’s social-emotional health as a core part of our strategy rather than as an incidental part of the program. Most after school programs start with tutoring and then bring in other elements, such as community development and/or family enrichment. Heart House takes the approach that the child’s emotional heath must develop at the same time as their physical and academic health. 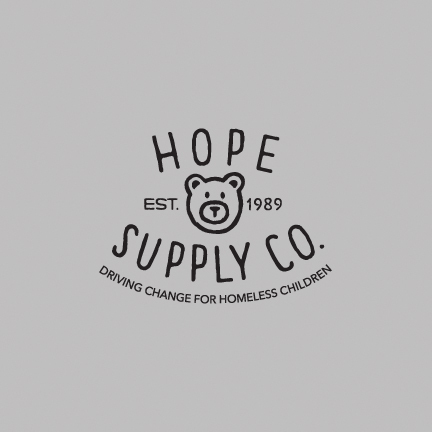 Hope Supply Co.'s mission is to meet the critical needs of homeless and at-risk children across North Texas by providing necessities including diapers, hygiene items, clothing, educational supplies, toys and recreational programs to our network of over 60 partner agencies. We partner with local social service organizations that are already helping families in need through comprehensive programs and services, ensuring our items are received by the children and families who need them the most. Make-A-Wish grants life-changing wishes for children with critical illnesses. Since our creation we have granted over 10,000 wishes to children across North Texas. In our 2018 Fiscal Year, we have a goal to grant 700 wishes across North Texas. Wishes have been proven to have impactful results, changing the outlook on the future for the children and families we serve. Our vision is to grant the wish of every eligible child. Each year the wishes granted by the Make-A-Wish Foundation of North Texas not only improve the quality of life for hundreds of children battling critical illnesses, they also provide members of the community with an opportunity to help these children experience hope for the future, strength in the present and joy looking back. Recognition will be provided on all Make-A-Wish North Texas’ social media (webpage, Facebook, Twitter, newsletter) and in our Annual Report. to prepare the youngest children for a lifetime of success. 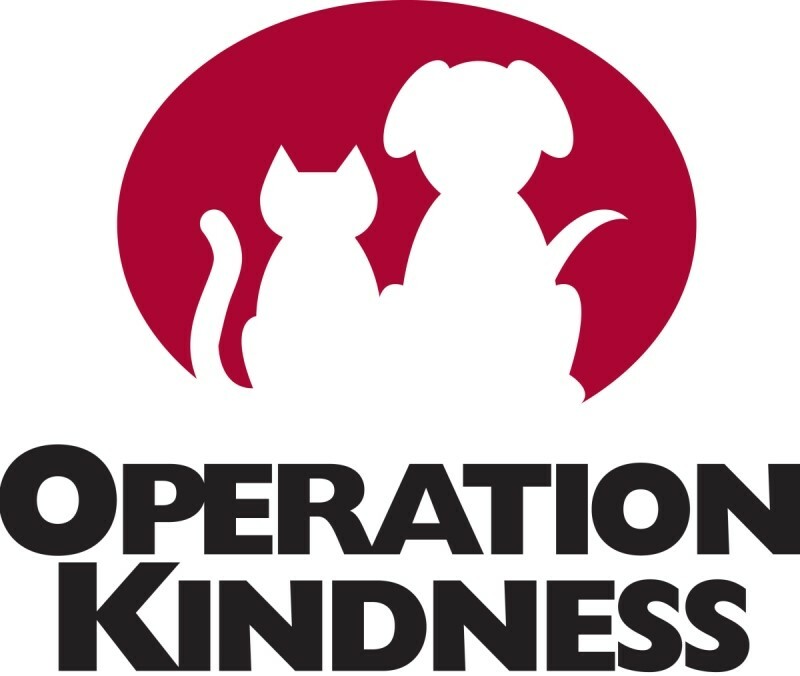 The mission of Operation Kindness is to care for homeless cats and dogs in a no-kill environment until each is adopted into responsible homes; and to advocate humane values and behavior. What makes us special is that we provide the best level of care for our “mission animals”, that is like no other in the area. Animals are treated on an individual basis and we never factor cost into our decision to take in or treat an animal. We partner with 46 North Texas shelters and are able to take animals with the most severe diseases, injuries and disabilities. Where other organizations would euthanize, we are able to save. If there is any chance for a quality of life, our compassionate staff fights for them and will never give up on an animal. Our community relies on us to save lives. Rainbow Days mission is to help children and youth in adversity build coping skills and resilience to create positive futures. Rainbow Days works with children who are experiencing adversity, including those who: are living in poverty, homeless, have been witness to or a victim of family violence, have a substance-using parent and other challenges. Using evidence-based programs and trained staff mentors, Rainbow Days teaches children decision-making skills, coping skills and how to make healthy choices, including resisting negative peer pressure, staying in school and staying drug-free. Through Rainbow Days’ Curriculum-Based Support Groups (CBSGs®), provided weekly to children at schools and shelters, unique themed Summer Day Camps for homeless children, Mentored Experiences, Family Outings and other services designed to meet children’s emotional, social, educational and tangible needs, Rainbow Days makes a lasting and positive impact in the lives of over 11,000 at-risk children and youth in the Dallas area annually. RISE Adventures, Inc., DBA RISE Adaptive Sports, has a mission to assist persons with physical challenges to Recover, Inspire, Succeed, and Empower themselves and others by providing inclusive adaptive recreational sports programs. Founded in 2007, we are the leading adaptive sports organization in the North Texas area. RISE serves both kids and adults with a primary diagnosis of a physical disability. Individuals need to be able to understand directions in order to comprehend the safety precautions and instructions that come with participating in sports. Individuals with secondary disabilities are evaluated on a case-by-case basis. Physical disabilities that RISE serves include Spinal Cord Injury, Traumatic Brain Injury, Stroke, Cerebral Palsy, Amputee, Multiple Sclerosis, Muscular Dystrophy, Neuromuscular Disease, Deaf/Hearing Impaired, Blind/Vision Impaired, and all other physical disabilities. We serve 650 disabled persons per year. We have over 600 program dates annually for adaptive therapeutic recreational programs. Bonton Farms was created to serve the most marginalized people in the most neglected communities by addressing their physical, spiritual, emotional and relational health through life skills development, job preparedness training, and job placement and creation through the vehicle of urban food systems…from field to fork. The Bonton community is both a food and job desert, marred by chronic disinvestment, rampant poverty, and severe health issues. In 2012, Bonton Farm began as a micro-farm on an abandoned lot. With help from the community, Habitat for Humanity, and the City of Dallas, the farm grew to transform ten blighted lots in Bonton and began creating work opportunities for community residents. In 2016, the Farm expanded to include an additional 40 donated acres. In 2018, “The Market at Bonton Farms” opened to provide a fresh food market, café, health & wellness facility and additional jobs for Bonton residents. Young Women’s Preparatory Network (YWPN) partners with PUBLIC school districts to create and support college-preparatory, all-girls’ schools. We believe it is critical to work within the public school system to serve economically-disadvantaged girls. We have a network of eight schools in Austin, Dallas, Fort Worth, Grand Prairie, Houston, Lubbock, San Antonio, and El Paso. Our schools serve students in the 6th -12th grades. All are located in struggling neighborhoods and are very successful with 100% high school graduation and college acceptance rates. The schools are consistently ranked among the best public schools in Texas and the nation. YWPN students are eager to use education to break the generational cycles of poverty within their family. In Dallas County, we create and provide college readiness and educational opportunities to enhance the school curriculum at the Irma Rangel Young Women’s Leadership School in Dallas and the Young Women’s Leadership Academy in Grand Prairie. Youth Believing in Change is a Christian, after-school and summer tutoring program for low-income children in Dallas. For 23 years, Youth Believing in Change has provided a safe and nurturing place for children to receive Christian guidance, support and academic tutoring. We are training future leaders in our community, one homework assignment at a time. In 2017, we tutored 250 children in our After-School Program, serving over 40,000 nutritious meals and providing 21,000 hours of academic tutoring. Our Summer Program served 250 children and we served 11,200 nutritious meals. Last year we provided transportation to 150 children from 14 elementary schools in Dallas and Richardson, two junior high schools, and four high schools.